AtlasIED, Mailboxes.com, and Middle Atlantic Products find Powertrak 2D Product Configurator beneficial in many ways. For one, the two-dimensional drawings and drag-and-drop feature provides a better selling experience for the sales rep and a better buying experience for the customer. Sales reps, distributors, and partners can clearly communicate and articulate the competitive differences of the product, while the buyer quickly grasps how the finished product looks and works. Secondly, buyers see real-time product changes based on each configuration selection. They can see how certain color or accessory selections affect the appearance of the product. Thirdly, pricing automation appears in the shopping cart. The buyer quickly understands when an added item meets or exceeds budget. Finally, the visual product configurator helps both novice and expert buyers build make-to-order products quickly, accurately, and on their own time. For less experienced buyers, it guides them through the process. For advanced buyers, there are self-service tools to build and create customized designs without guidance. Let's take a look at three manufacturers displaying Powertrak 2D Product Configurator on their website for public use. I encourage you to visit AtlasIED, Mailboxes.com, and Middle Atlantic Products' website to see and experience their configurator powered by Powertrak. AtlasIED is a global electronics manufacturer providing comprehensive audio solutions for commercial businesses. The company offers 2,000 specialized audio products for schools, universities, manufacturing plants, public transportation hubs, sports arenas, hospitals, etc. AtlastIED leverages Powertrak 2D Product Configurator to enable its customers to visually and interactively configure racks with audio equipment that fits their exact business needs. 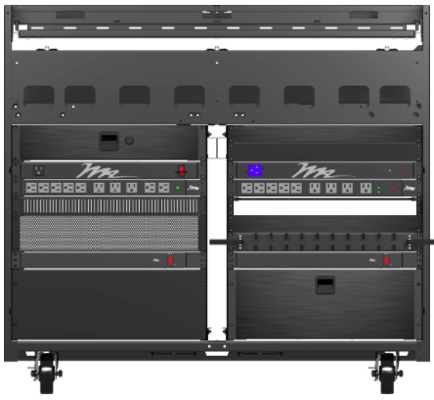 On AtlasIED’s website, the 2D rack configurator called RAPID System is available for everyone to access and use. Users can custom design a floor standing rack, portal rack, and wall or ceiling mount by selecting and placing processors, amplifiers, power, cooling devices into the rack. Confidently place the preferred products into any desired location on the rack. The configurator alerts when products are unsuitable near each other (such as two heated products without a cooling device in-between). Middle Atlantic is a manufacturer of complete integrated systems that includes racks and enclosures, monitoring consoles, technical and studio furniture, power distribution, thermal management, cable management and a full line of accessories. The company provides its partners and customers with a visual and interactive solution to create full system designs by selecting and freely placing AV equipment in racks, enclosures, and technical furniture. The 2D rack and furniture configurator is available for residential, commercial, broadcast, and security customers. Middle Atlantic has produced a number of YouTube videos for users to learn how to use the rack configurator. Salsbury Industries - Mailboxes.com is a manufacturer and distributor of commercial and residential mailboxes, and custom signage. Salsbury Industries provides its commercial customers with a 2D line-art style configurator to design and order 4C mailboxes for private delivery. 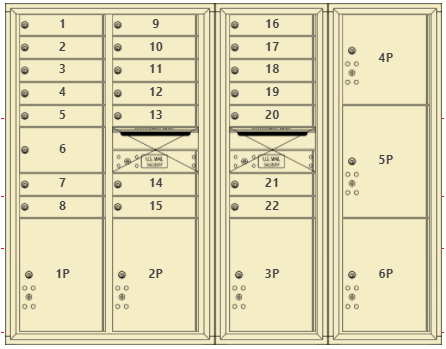 The 4C Mailbox Configurator visually showcases the optimal number of mailboxes and parcel lockers needed based on the user’s requirement. Users can drag-and-drop units, doors, compartments, and customize engravings. They can also see elevations, rough opening dimensions, sample installation instructions, model numbers, and other useful information. *All image rights belong to their respective companies.